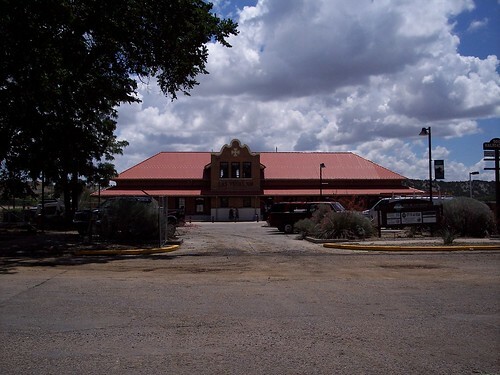 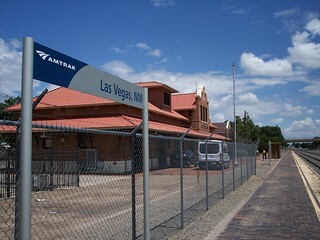 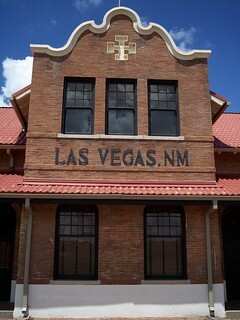 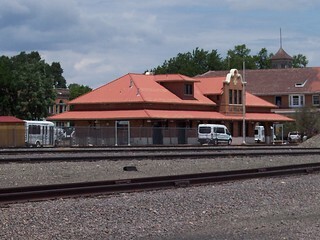 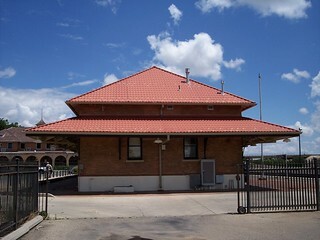 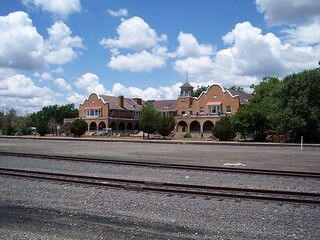 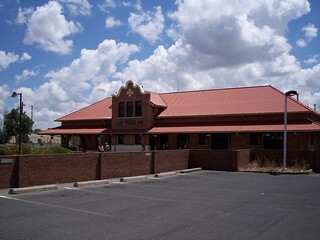 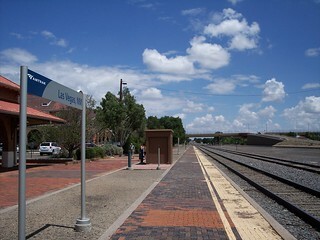 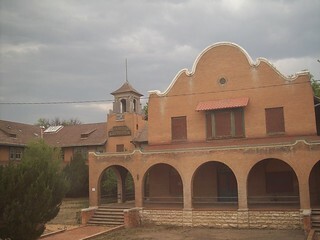 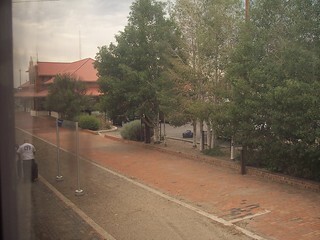 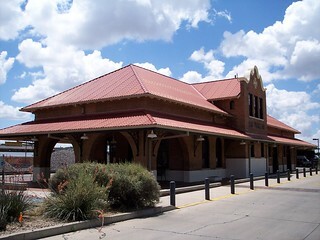 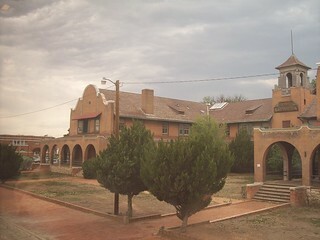 The Las Vegas station in New Mexico. 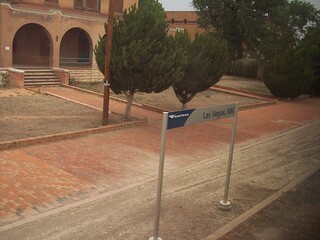 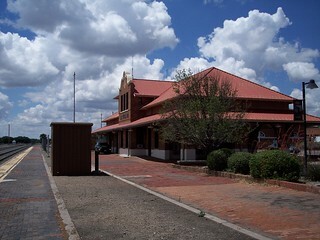 An old abandoned hotel also fronts the station platform. 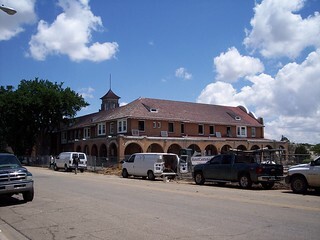 The building was undergoing renovations in 2018.